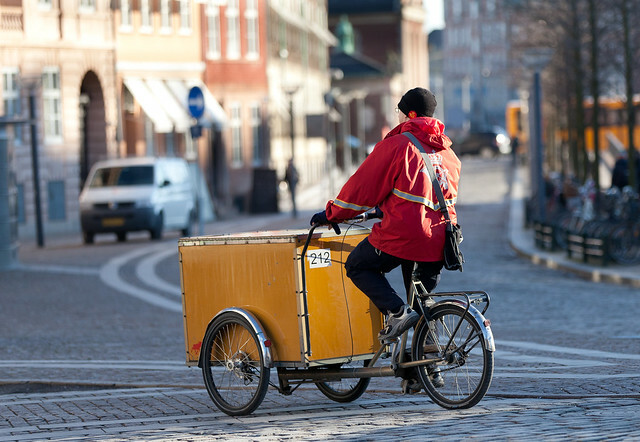 The Royal Danish Mail uses bikes for delivery in all larger cities in Denmark. 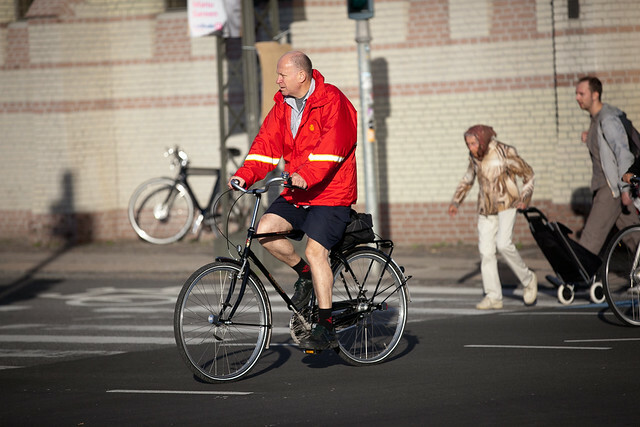 The postmen are easily recognisable with their red uniforms, yellow bikes and Royal insignia. 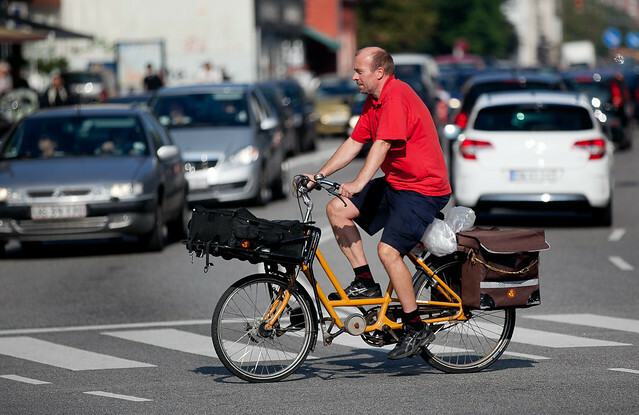 For 7 years while at High School and University I used to deliver mail in Copenhagen myself. The postal bikes today are far better than the large and sturdy frames I used back then. A smaller front wheel helps ensure a stable and safer ride. 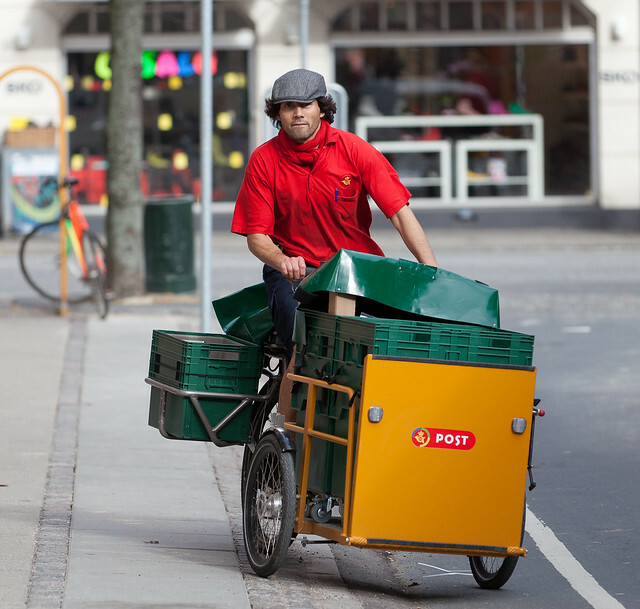 Also the Post now uses cargo bikes - some of them with electric assist motors. Riding in shorts was a no-go back then. Every summer we would complain about having to endure the summer heat while running up and down the stair cases - typically 5 floors 50 times a day. Today there are official uniform shorts available. 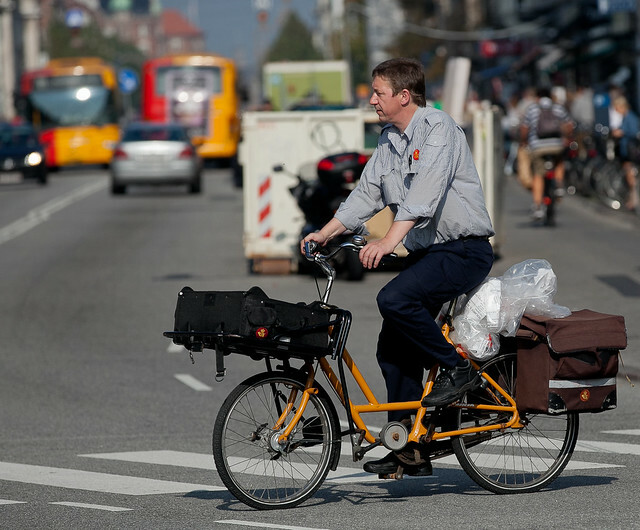 And of course - like most of the other postmen - I used to bike to the Post Office at 6am every morning. If I had been partying the night before - it was a looong day. What a nice blog this is - Congrats! What happens in the winter with snow and rain? It would certainly curtail hidding out in mail trucks. What happens in the winter with rain and snow? What happens ? I guess they continue business as usual ,why would they not ? @steelschwinnster: 5b is right. Rain or Snow - the Mail must Go! This makes me sad I am a postal worker in Canada and instead of bikes they are making us use trucks next year.Talk about going backwards.